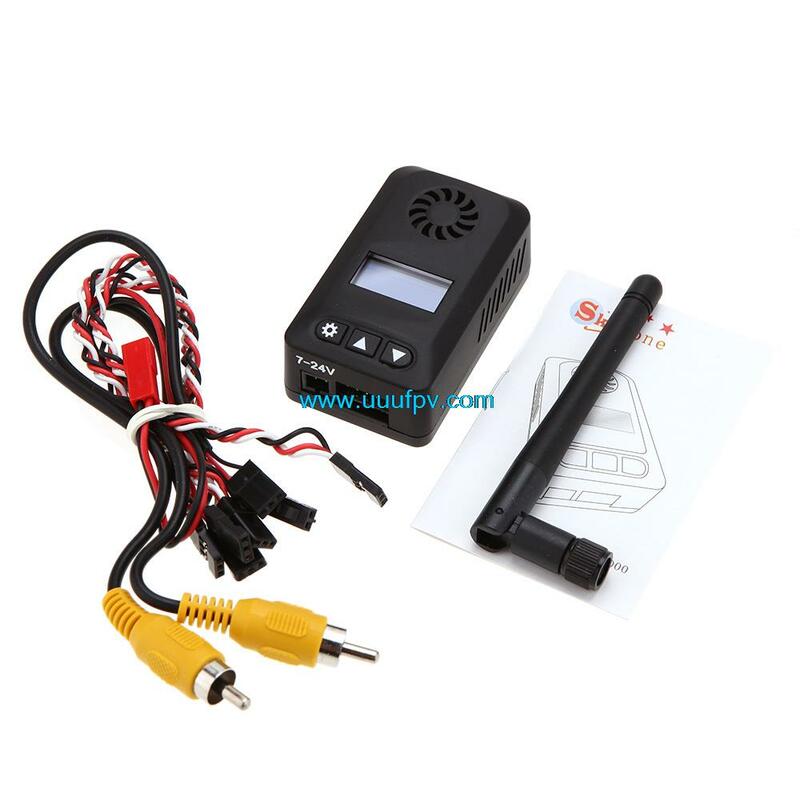 Support 2-6S battery and low battery alarm. Channel and Frequency clearly visible on screen. 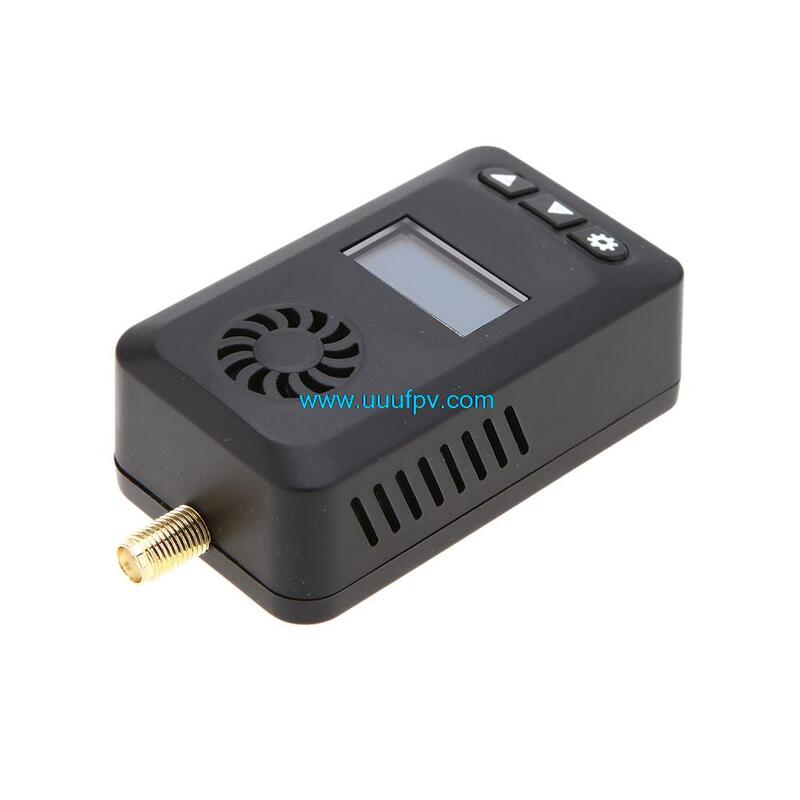 Screen Display: Current/Temperature/PA Power detection. Output power 2w, distance no less than 2Km with 2dbi Omni directional antenna. 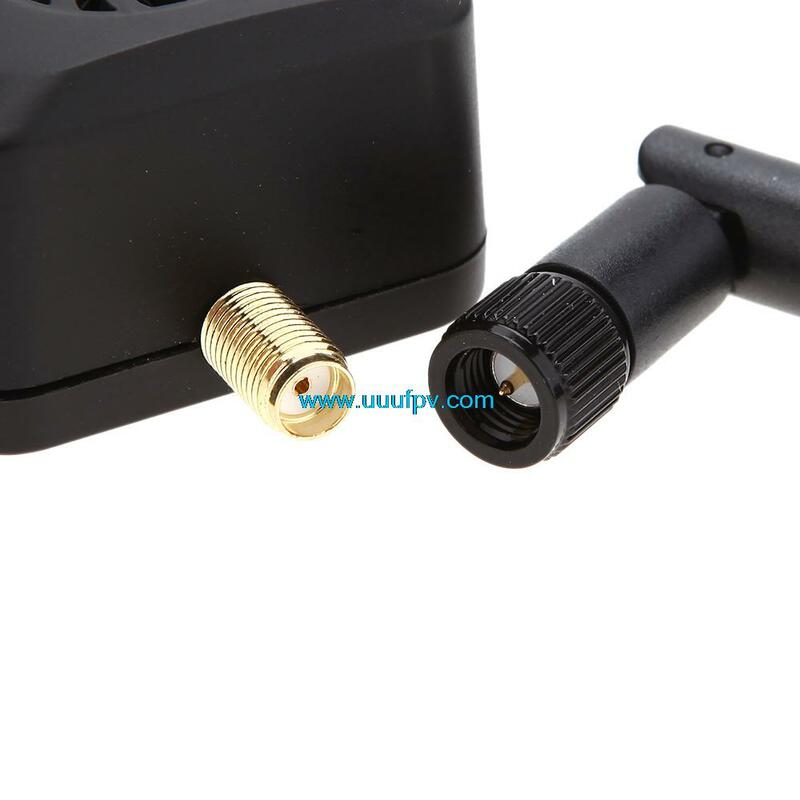 2Ch video input, Remote channel switching via spare channel on RC transmitter. 128 * 64 super bright color digital display with High Brightness & Contrast, clearly visible under the sun.